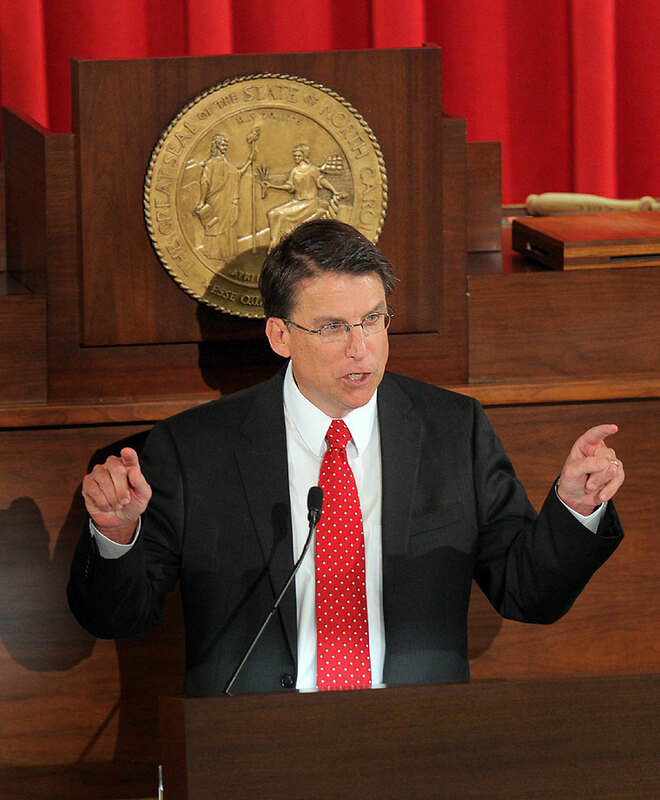 North Carolina Governor Pat McCrory recently signed a bill into law that will reduce the amount of debt that the state can issue without getting approval from voters. Senate Bill 129, aptly entitled the "Limit State Facilities Finance Act," took three long years to receive final approval. The vote was easily passed, with a final total of 47 for and 1 against. It was co-sponsored by Bill Cook and 5 other senators. So, what will this legislation do and how will it affect your family? The Limit State Facilities Finance Act essentially puts an end to the unconstitutional practice of North Carolina taking on additional amounts of debt without getting the “okay” of the people via a vote. It sets an official limit on when North Carolina lawmakers are able to use something called “special indebtedness” to take on extra amounts of debt behind closed doors, so to speak. 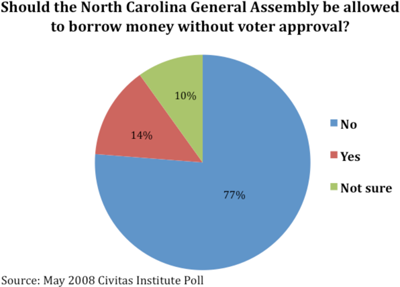 Many people don’t know that the North Carolina Constitution says that voters are required to approve any and all new debt that the state takes on. While this is written into the Constitution, it has not been followed. In fact, since 2011, previous politicians of both the legislative and executive branches have used the “special indebtedness” loophole to get around this law. As a result, North Carolina’s debt has gone through the roof. By using special indebtedness, North Carolina families have been saddled with an estimated $261 million of extra interest payments on state debt since 2005. As lawmakers continued adding more and more debt to the state, the cost was eventually passed on to you and other North Carolinians. The last North Carolina referendum concerning this type of debt was held in 2000. Every penny of debt since then has been issued without voter approval via a legal loophole. As opposed to traditional forms of state debt, known as General Obligation debt, special indebtedness ends up costing more in the end. Once state debts begin to go over budget, it creates an enormous tax burden for citizens. As it stands today, 40 percent of North Carolina’s overall debt is due to special indebtedness. You may be wondering how, if it is written into the state Constitution, did lawmakers avoid a forced public vote for all this debt? The answer to that question is a bit murky. Apparently, it is due to the way a 2003 state budget was written. Within that budget legislation is the State Facilities Finance Act, which included a special indebtedness clause. Once the legislation went into effect, it was all downhill from that point...at least for the taxpayers. Every year, the estimated additional interest for special debt cost over $10 million. In 2008, the cost peaked at more than $64 million. All in all, special indebtedness is estimated to have cost the state’s taxpayers an extra $261 million. Lawmakers have even taken steps to scale back non-approved debt. In 2011, they cancelled $232 million in special indebtedness debt. That included all non-approved debt authorized during 2010. Even with this cancellation, special indebtedness still makes up a little less than half of the state’s total debt. While the knowledge that politicians secretly pushed non-approved debt on you and other taxpayers is infuriating, it is definitely comforting to know that this bill has taken a step in the right direction. North Carolina families are already struggling with massive financial problems like long-term unemployment, skyrocketing medical bills and outrageous mortgages. Adding an additional tax burden is the last thing anyone needs. If you’re in a financial hole and can’t seem to find your way out, it may be time to consider filing for Chapter 7 or Chapter 13 bankruptcy. It’s best to take action and face the issue head-on, as the worst thing you can do is to do nothing. Contact a trusted Wake County bankruptcy attorney today and find out just how current bankruptcy laws can help you find a fresh start.